In 2017 and 2018 we are committed to supporting the Mossy Earth reforestation project in Northern Portugal. Earlier this year Galicia and Northern Portugal were hit hard with numerous wildfires. The purpose of this project is dual, on the one hand we will be establishing a carbon sink to help store co2 on the other hand we will be creating diverse forests with a stronger capacity to resist and recover from wildfire. The Mossy Earth team are on the ground to reforest different areas with native oak trees. To date we have planted over 1,400 new trees in the region with plans to expand into 2018. 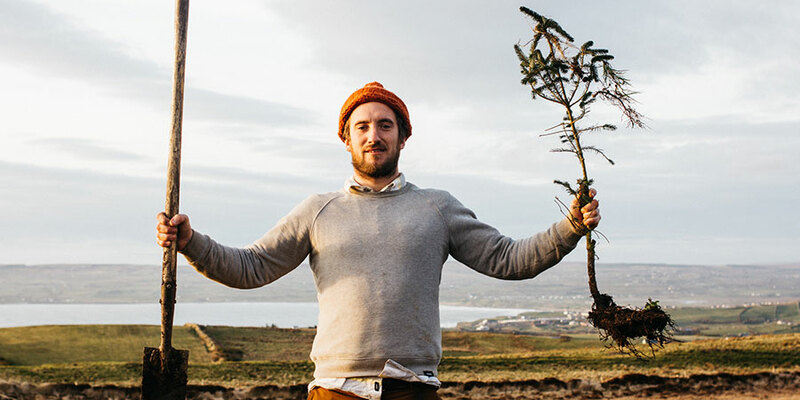 We are also offering our readers and clients the opportunity to get involved – Visit our dedicated page to buy a tree and learn more about this fantastic sustainable project. We look forward to watching the Camino forest grow over the years and we hope that you enjoy being involved in this amazing adventure with us. For more details about Camino routes and to book your Camino de Santiago trip, contact our travel specialists at info@caminoways.com.